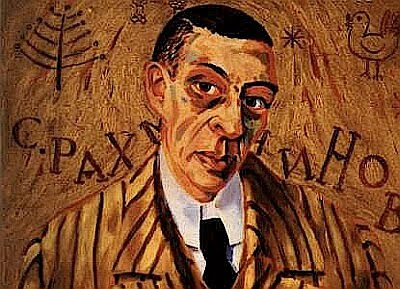 The score of Rachmaninov’s Second Symphony, missing for 100 years and presumed lost, was discovered in a Swiss cellar in 2004. The music critic of the Daily Telegraph, Geoffrey Norris, an expert on the composer, was contacted by a mysterious man who invited him to conform that the manuscript was genuine. When the two men met at a Swiss railway station, Norris noticed that his companion was carrying a Co-Op plastic bag. This turned out to contain the 300 page missing score which the composer’s had covered with his scribblings. Widely regarded as Rachmaninov’s most popular orchestral work, the score of his second symphony, written in 1907, was due to be sold at Sotheby’s sale of 7 December with an estimate of £300,000 - £500,000 but the lot was withdrawn at the last minute, the result of an ownership dispute between the vendor and the Rachmaninov estate. Legal wranglings were still going on in 2006. An eighth-century Latin manuscript containing all 150 of the Book of Psalms was unearthed in the summer of 2006 at Faddan More, Tipperary, by a local workman, Mr Eddie Fogarty, who was operating a mechanical digger. According to Patrick Wallace of the National Museum of Ireland the sixty page vellum ‘ book ‘ was ‘ more important for Ireland than the finding of the Dead Sea Scrolls had been for biblical scholars ‘. Apparently, according to the conservator assigned to the task of preserving what was left of the document, vellum shouldn’t survive in such conditions, ‘ it should gelatinize away ‘. The Faddan More Psalter, as it now known, will go on display in 2011. A scrap from a printer’s MS account book which confirmed the chronology of Shakespeare’s Love’s Labours Lost was found glued inside the spine binding of a seventeenth century book by eccentric dealer and incunabula collector Solomon Pottesman. Pottesman, known for his hard-dealing, could have sold the fragment for hundreds of pounds but chose instead to let it go for next to nothing to an impoverished scholar, a specialist in Jacobean drama. 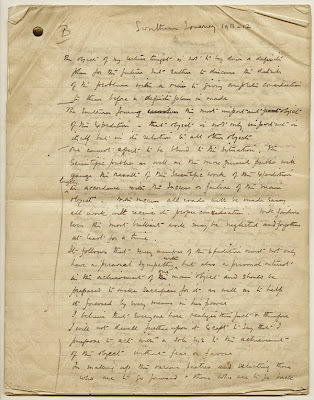 Eleven pages of handwritten notes for a lecture Captain Robert F. Scott gave to his team of explorers before they set off for the South Pole in 1912 were discovered in a London bookshop. Thought to be lost forever, the handsomely bound pages, were acquired by Canterbury Museum, NZ. where they were exhibited along with other Antarctica. One of the most exciting literary discoveries in the twentieth century relates to Thomas Traherne (1637- 74 ), who until 1903 was known as the author of two obscure books, Roman Forgeries and Christian Ethicks. For some time his remains had been in the hands of a family named Skipp from Herefordshire, which still owned them in 1888. Then, for some reason, the family chose to dispose of the papers and by 1896/7 two manuscripts had ended up in a ‘ street bookstall ‘ from where the literary collector William T. Brooke rescued them for ‘ a few pence ‘. After studying the style of the poems Brooke concluded that they were the work of the metaphysical poet Henry Vaughan and he communicated his discovery to another collector, Dr Grosart, who bought them from him as a curiosity. He too was so convinced that the author was Vaughan that he set about preparing a new edition of the poet’s works which would include the newly discovered compositions. Unfortunately, Grosart died before a publisher could be found and the two volumes were then sold with the rest of his library to the bookseller Charles Higham of Farringdon Street, who sold them on to the Charing Cross Road publisher and bookseller Bertram Dobell. Not long afterwards, Dobell acquired a third manuscript volume, when another part of Grosart ‘s library was sold at Sotheby’s. Dobell now had one folio volume and two octavos. Dobell too was at first disposed to believe that the poems were Vaughan’s work, but in comparing the latter’s printed compositions with the poems in manuscript, came to the conclusion that stylistic differences militated against this attribution. 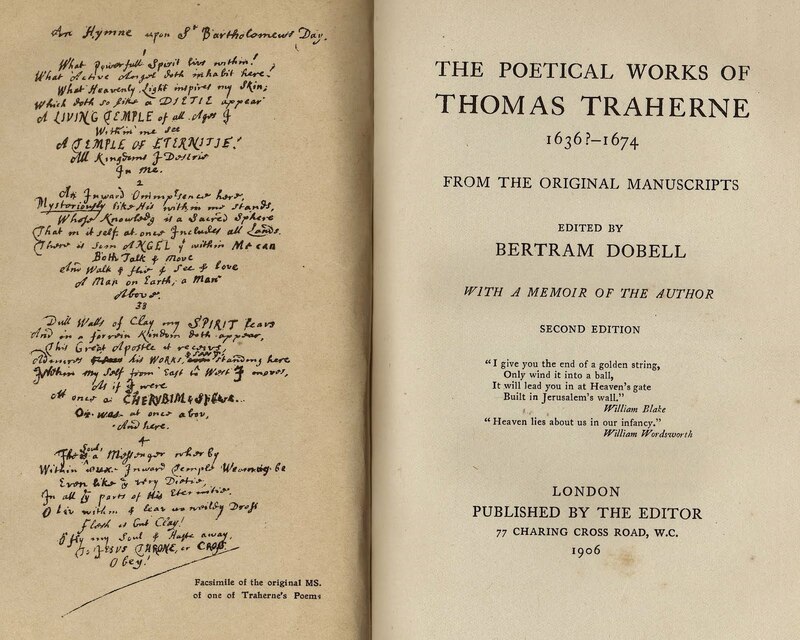 After further research Dobell was able to identify the mystery poet as the little known divine Thomas Traherne. 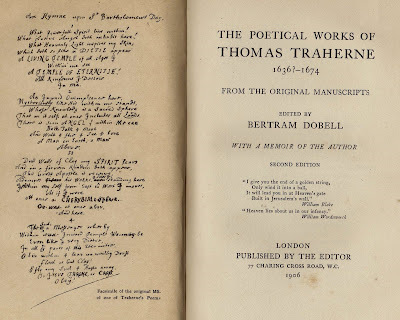 Dobell published Traherne’s poems to great acclaim in 1903. A prose work, Centuries of Meditation, also edited from the manuscripts, appeared in 1908. Traherne is now recognised as one of the major metaphysical poets of the seventeenth century. Bewick expert and book collector Nigel Tattersfield found a scribal copy of More’s famous Dialoge of Comfort Agaynst Trybulacion while fishing through boxes of books in the stalls of George Jeffery at Farringdon Road in1981. 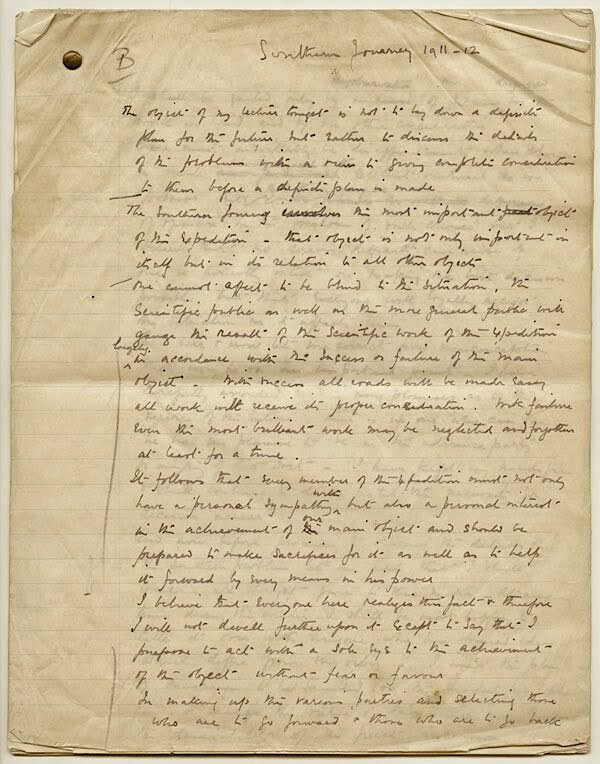 The original manuscript had been composed by More while in jail awaiting trial for treason and the copy may have been made by a visitor to the jail in case the original was confiscated by the authorities. How this copy found itself bound centuries later in a dull Victorian cloth no-one will probably ever know, but Tattersfield, who bought it for £20, was doubtless delighted that its significance had been thus disguised from all but himself. A few years later it was sold for £42,000 and Tattersfield bought a house with the money. Hemingway lost a suitcase filled with his manuscripts at the Gare de Lyon in December 1922. T.E. Lawrence lost the manuscript of 'Seven Pillars of Wisdom' while changing trains at Reading railway station in December 1919. It was in a briefcase--actually a bank messenger’s bag. Both Hem's and TE's manuscripts probably fell into the hands of petty thieves and were trashed as being worthless…but they may still be out there. It's actually Rachmaninov's second piano concerto, not his second symphony, that is his most popular work. There's also controversy over whether the ms. of "Seven Pillars of Wisdom" ever existed for Lawrence to lose it at Reading Station. A lost, found and lost-lost manuscript is that for Francis Kilvert's diaries: found by a relative, transcribed into two copies by William Plomer, most of the original ms destroyed and then the transcriptions were destroyed in the Blitz. "A scrap from a printer’s MS account book which confirmed the chronology of Shakespeare’s Love’s Labours Lost ... [The book dealer] could have sold the fragment for hundreds of pounds but chose instead to let it go for next to nothing to an impoverished scholar, a specialist in Jacobean drama." Inaccurate in practically every particular. The MS did NOT "confirm the chronology" of the Shakespeare play. Rather it suggested that a lost play, Love's Labour's Won, had probably been printed in quarto. Nor did the bookdealer sell the MS for "next to nothing." Rather he sold it for a goodly sum to an intermediary acting as agent for the University of Illinois. Nor was the scholar "impoverished" or "a specialist in Jacobean drama." Rather he was the famous Elizabethan scholar Thomas Whitfield Baldwin, professor at Illinois, and massively eminent when the bookdealer sought him out for advice in 1953.